Flyer for the exhibition ‘Sand on the move’ (Credit: National Dredging Museum). As we’ve seen in my last post, sand is one of the commodities most in demand1. Here in the Netherlands, there is a whole industry built on the extraction and distribution of sand. One of the most used extraction methods is dredging, something we’re well acquainted with. One of the most used distribution methods is barge transport. And the National Dredging Museum has opened an exhibition on these complementary trades: ‘Sand on the Move’2. Last Thursday was the opening of this new exhibition of the museum. For the occasion, there were two speakers invited. Kees van der Veeken, director Consortium Grensmaas showed us the current practice of sand mining. Tjeerd Roozendaal, head engineer – program director projects and maintenance of Rijkswaterstaat had the honour to open the exhibition. Afterwards, there was a dinner buffet available for the guests. An excellent opportunity to learn, hear opinions and build on your (dredging) network. Panoramic view of the ‘Sand on the move’ exhibition. Our modern infrastructure was only made possible by the application use of sand as foundation of roads and fill material in concrete and tarmac. At the exhibition, there are displays of four big projects about sand mining: ‘Betuweroute’3, ‘Kraaijnbergse Plassen’4, ‘IJsseloog’5 and ‘Grensmaas’6. Each highlighting a certain aspect of sand mining in the Netherlands. Another part of the exhibition revolves around the distribution of sand. And this posed a chicken and egg problem: in order to build roads, you need roads to transport the sand. So, in the early days, before there were roads, sand was being delivered over water by barge. There was a short period, where numerous small enterprises, mostly family owned, filled the gap of transporting sand by barge, taking the place of delivery trucks. Also my family had a motor vessel for sand transportation, ‘Excelsior’. And my grandfather told me many times of his adventures on board and his relative happy times. As this was hard work for sure. 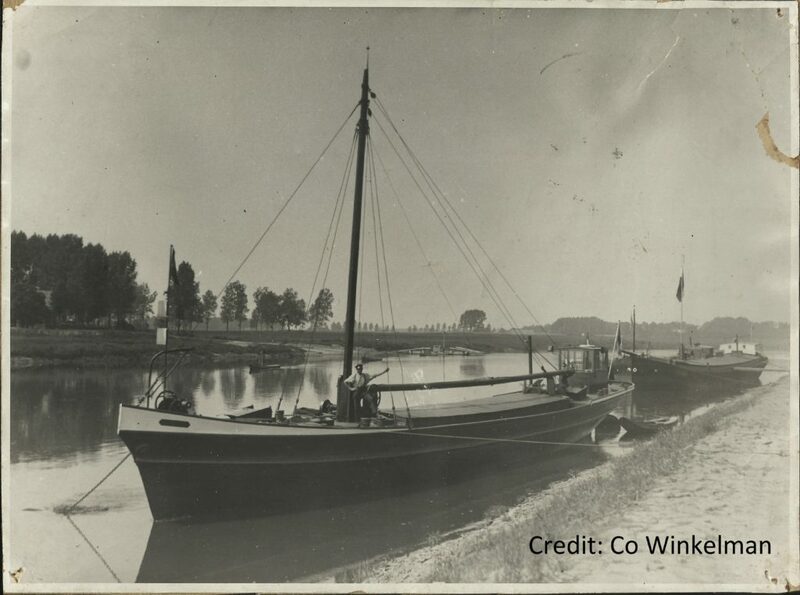 Motor sand barge ‘Excelsior’ (Credit: Co Winkelman). Along with old photographs of those sand barges, there are also many models and a video exhibit. Each conveying respect to these men, women and sometimes children, that have been toiling to build the roads and railways that we are now taking for granted in our luxurious times. Unfortunately, these businesses worked to their own demise. As roads and railways improved, there was less need to transport the sand by barge, but directly hauled to the location where it was needed by road. So, somewhere this typical business dried up. 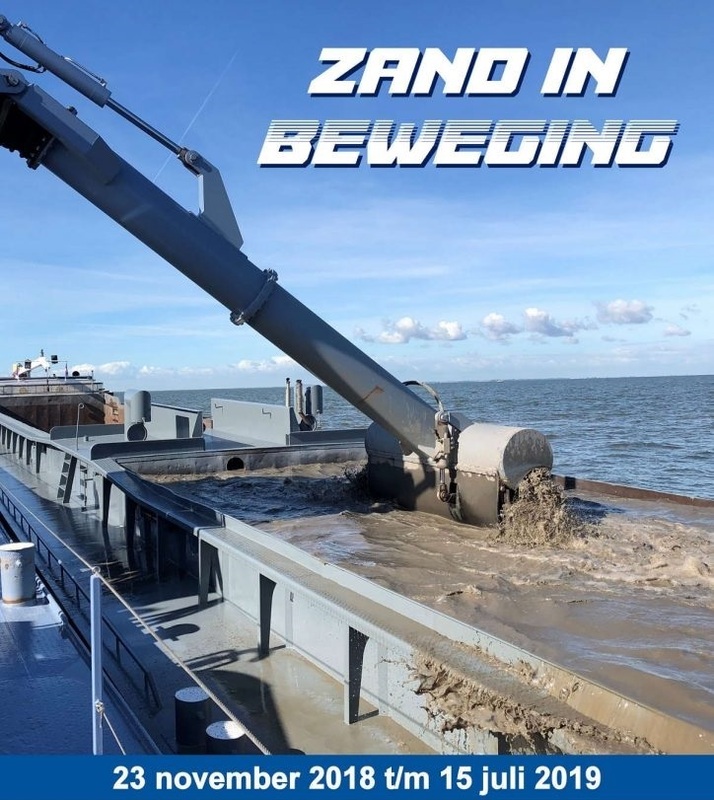 Nowadays, sand is still transported by barges, but they are usually owned by large companies, that own the whole product line from extraction, distribution to application. There is also a small sand laboratory to experience yourself, how many different aspects of sand are involved in selecting the right sand for the right application. At a small scale and easy to understand steps, this represents how we are evaluating sand in our own laboratory. 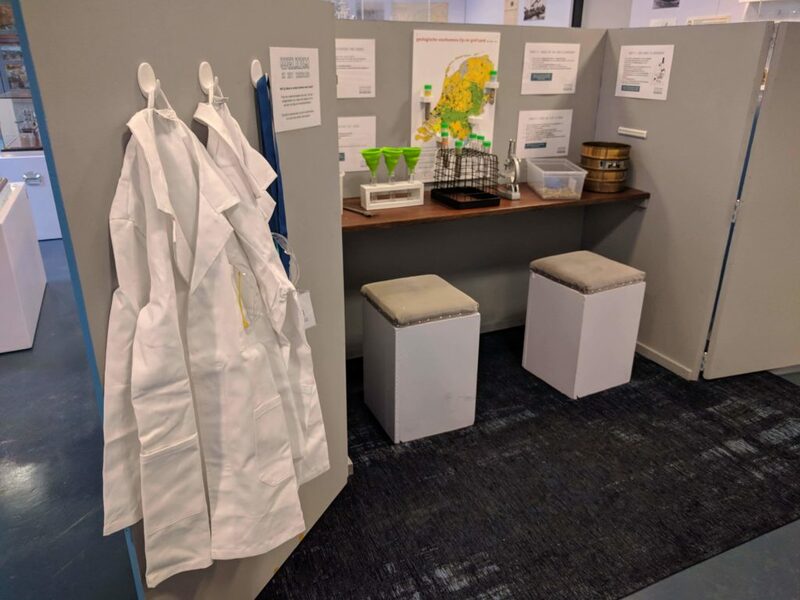 Next to this laboratory, there are many more kid friendly exhibits in the rest of the museum. I can highly recommend you to plan a visit to the national dredging museum these weekends or during the Christmas holiday. Mini sand laboratory (Credit: National Dredging museum).